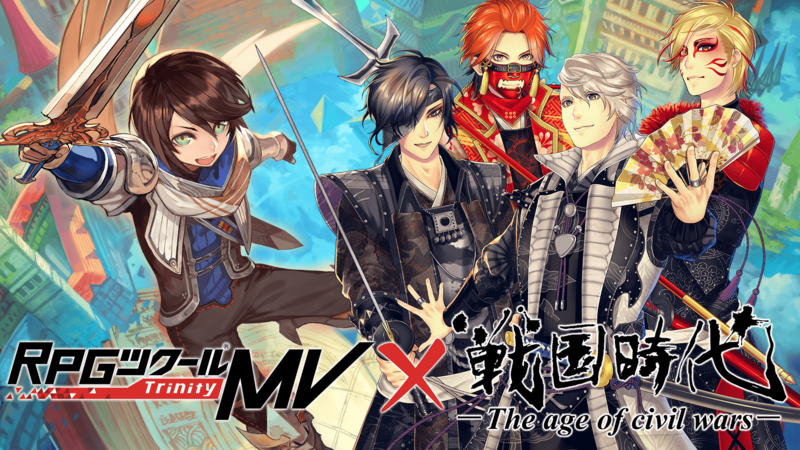 With RPG Maker MV having released in Japan as of November 15th, Kadokawa Games has revealed the existence of an upcoming in-game collaboration with Japanese rock band Sengoku Jidai: The Age of Civil Wars. According to Gematsu, the collaboration will bring a new sample game into RPG Maker MV that will be titled Sengoku Jidai: The Age of Civil Wars – Road to the Nation. The content is set to be added on November 29th in Japan and will allow players to utilize 10 new songs as background music for their own creations. On top of this, character sprites based on the band’s members will also be available. An introductory trailer for the collaboration can be viewed below.